Birds On A Wire. Box contains 6 notecards: 2 each of the three images shown. Cards are blank inside, and come with 6 matching white envelopes. 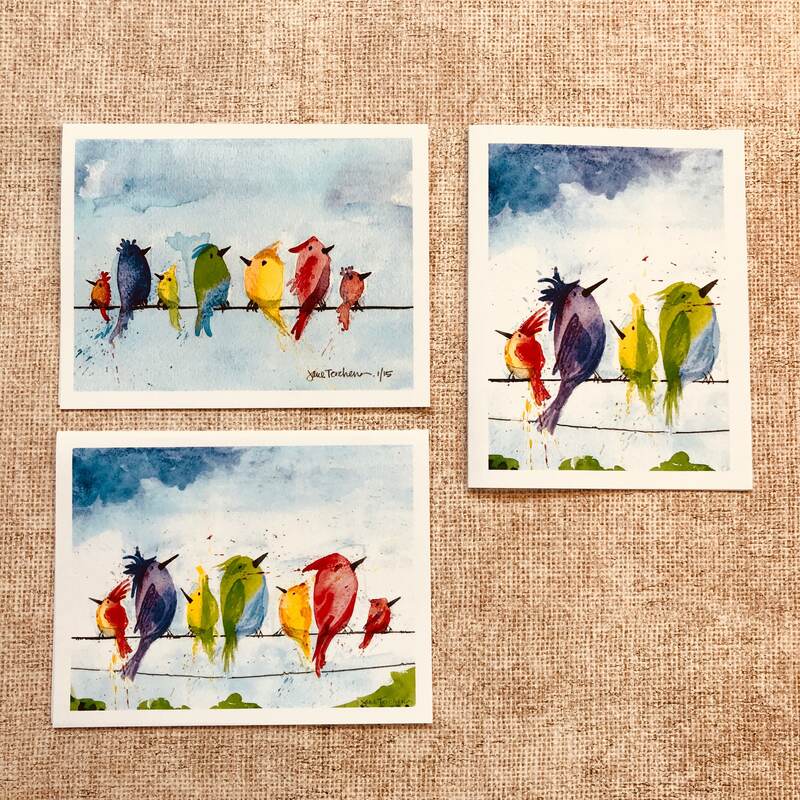 Images are 3.75 x 5 inches. Cards are 4.25 x 5.5 inches. 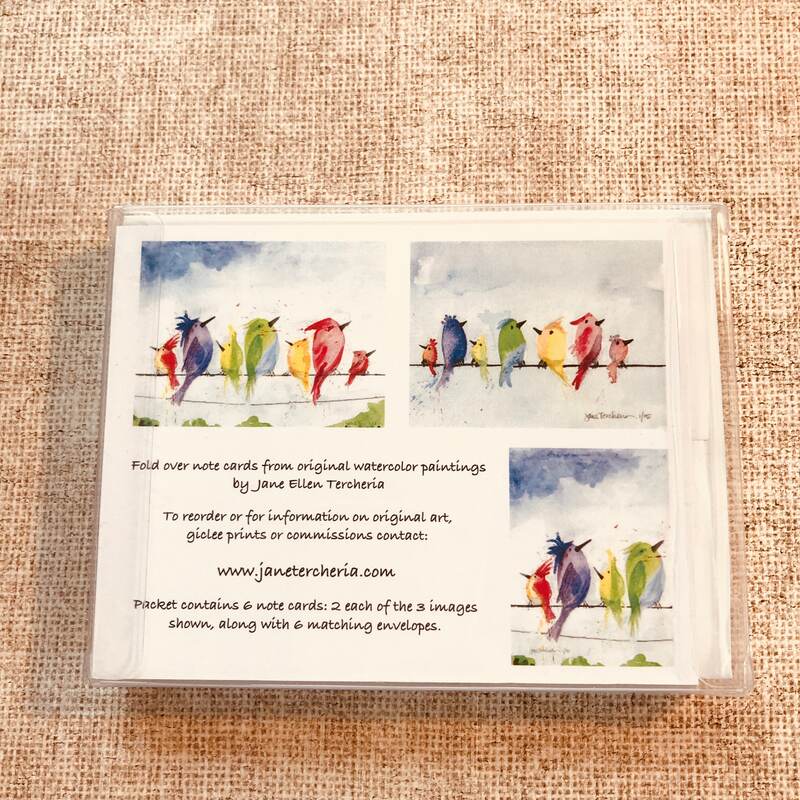 The images are from original watercolor paintings by Jane Ellen Tercheria.